But to all who believed [Jesus, the Word] and accepted him, he gave the right to become children of God. 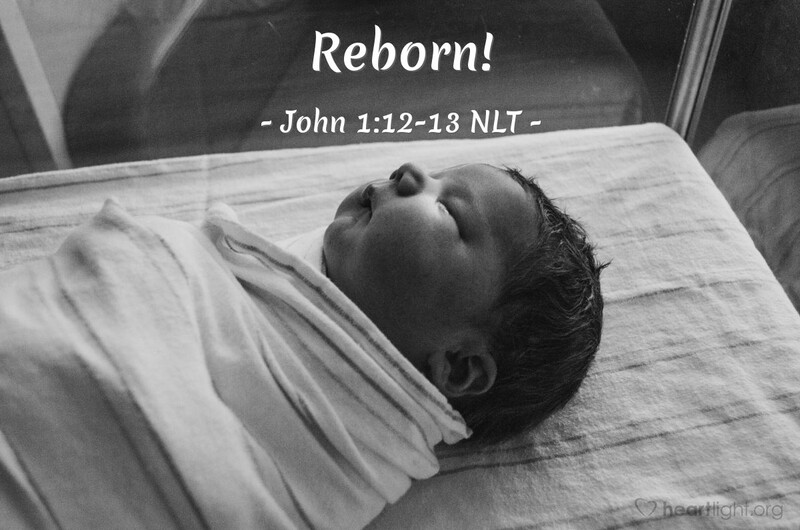 They are reborn — not with a physical birth resulting from human passion or plan, but a birth that comes from God. Not everyone rejected Jesus. In fact, everyone who believed in him and accepted him was given an incredible gift: They were made children of God! This special gift is something that God alone could achieve for us. It is also something about which Jesus and John will both have more to say. Today, however, think about what it means to be God's child! Our Father paints the sunrise and displays his artistry again at sunset. He set the boundaries of the universe, which we cannot begin to see. He is the greatest Father anyone could ever have, and he chose us to be his children! Our adoption into the Father's family is something God did for us to include us as his children. We couldn't make ourselves part of God's family any more than a baby can accomplish his or her own birth or his or her adoption. We are God's children because of his love and grace and Jesus' sacrifice. In fact, Jesus came as the Father's Word of grace; we can be children of God, born from above! Expand my heart, O God, so that I can truly show my love and appreciation to you for adopting me into your family. Open my mind, dear Father, so that I can understand your grace and mercy given me through Jesus. I praise you and thank you for making me your child! In the name of my brother and Savior, Jesus Christ my Lord, I pray. Amen.